Watch the biggest ever launch of the Tesco Bank Summer Reading Challenge Scotland on catch up! It’s summer which means the Summer Reading Challenge is here. Check out our trailer to find out what’s in store this year. It’s going to be smashing and we hope you will join in the fun at your local library! HUZZAH, we have a winner! 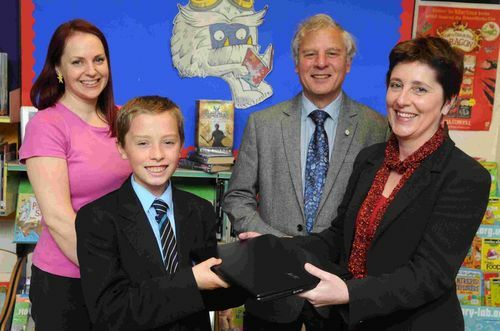 Nathan from Salisbury has been awarded a brand new laptop as a prize for writing our judges’ favourite Finish the Story ending of the year. So there we go. Another year, another round of amazing Finish the Story competitions. Sophie from Surrey (the one and only Empress Fenella Sherbet) is our fourth winner of the Finish the Story competition! Enormous congratulations to Amy from Sterling, aka Doctor Iggy Slingshot, who has won the third of our Finish the Story competitions!